This week, hundreds of dogs once destined to be euthanized in shelters across California will be airlifted to the start a new life. Due to overcrowding of homeless animals in the state, thousands of dogs and cats are put down every day. But elsewhere in the country, rescue animals are harder to come by for the countless folks looking to adopt a new pet. Thankfully, there are pilots helping the two connect. Wings of Rescue is a non-profit rescue organization that transports homeless and needy animals, via private plane, to loving homes and care centers throughout Oregon, Washington, Idaho, and Canada. So far, in 3.5 years of operation, Wings of Rescue has saved 5400 animals. Soon, over 500 more will be plucked from death-row -- all of which are expected find adoption. "Not only are the destinations expanding, but we're finding humane societies in smaller towns where people are clamoring for dogs," says pilot Yehuda Netanel. "This is a golden opportunity for those dogs to have a life rather than being euthanized here." 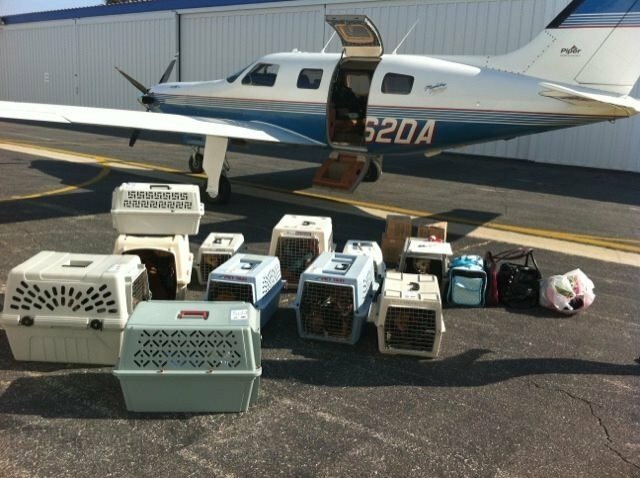 The organization helps partially cover the cost of the journey, but volunteer pilots usually end up paying out of pocket to transport the pets. But for Netanel, the chance to save animals from their sad fate makes it all worth it. "When you know what's going on, it's difficult to stay passive."